Debt consolidation is taking stock of all your debts and drawing up a plan to extinguish all debt, starting with high cost debt. If you are 50 years of age or more and are paying EMIs of home loan, car loan, education loan, personal loan, education loan, gold loan, marriage loan, credit card EMIs, etc., it is high time you considered debt consolidation to ensure that by the time you retire, you would have no repayment burden on your head. So what is debt consolidation all about? Simply put, debt consolidation is taking stock of all your debts and drawing up a plan to extinguish all debt, starting with high cost debt. The final purpose of the plan is to extinguish all debt systematically over a specific period of time. To begin with, one needs to make a list of all the debt, the principal amount outstanding in each case, rate of interest charged on each loan, remaining tenure of the loan and the monthly outgo towards repayment of all loans. Once this is done, the loans with the lowest rate of interest should be preferred over loans with higher rates of interest. Usually, home loans and mortgage loans (e.g. gold loans) are the ones with the lowest rates and personal loans and credit card loans, among others, are the ones with the highest rates. 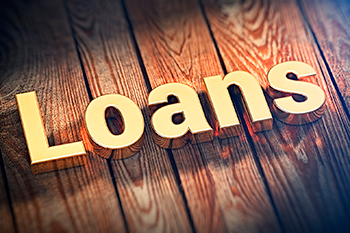 Now, one can explore the possibility of getting more of housing loan or mortgage loan, and if the lender agrees to lend more against the property or gold, then one can go for it and prepay the highest rated loans such as personal loan, credit card loan, etc. with the additional amount obtained against property or gold. Such foreclosure of high rated loans saves a good deal of interest amount and can help a person plan for retirement.